Public Art not only creates inspiring community spaces but gives new life and meaning to everyday environments. 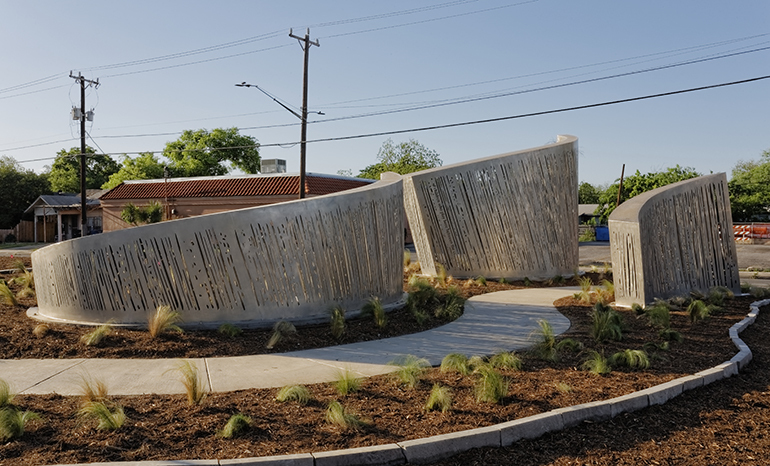 Check out Rippling Waters (Aguas Onduladas), public art by RDG Dahlquist Art Studio, featured along with 25 other spectacular design + art collaborations in CODAmagazine’s Placemaking Art V issue. The challenge put forth by the City of San Antonio, Texas was to consider the project site (a traffic island) previously a barrier to access, as a new “front door” to reinvigorated Elmendorf Lake Park. 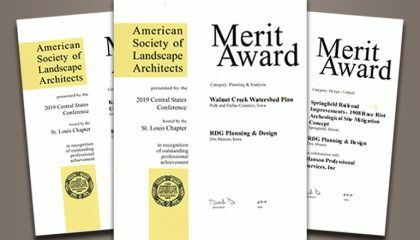 The park is a neighborhood amenity that connects people with nature and affords a variety of opportunities to engage with the water while also learning about storm water management. The desire was to create artwork that engaged the community and served as an entry icon. 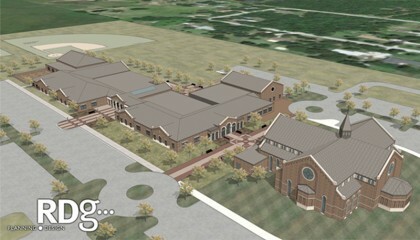 The design process were informed through site visits and community input meetings and review of the proposal concept with PASA. Collaboration extended to collecting input from a local fabricator (Garces) who would ultimately build and install the work. 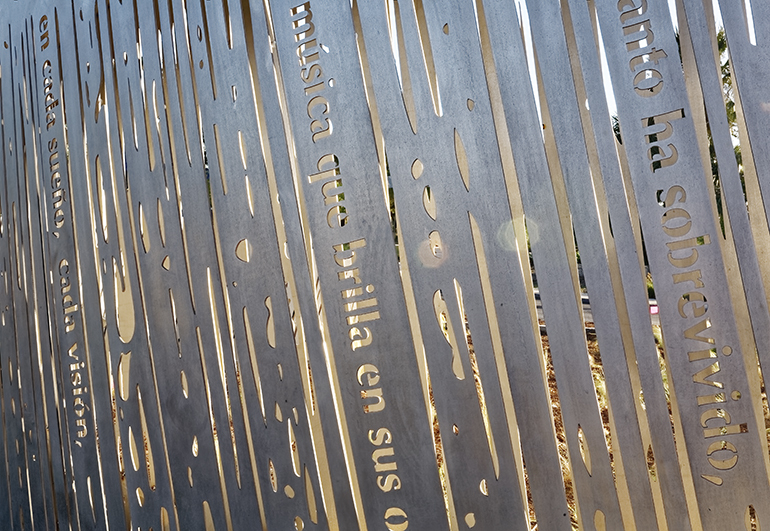 Resulting in – Rippling Waters (Aguas Onduladas), an integrated public art installation – where its primary function is to be an iconic marker for both vehicular and pedestrian experiences. 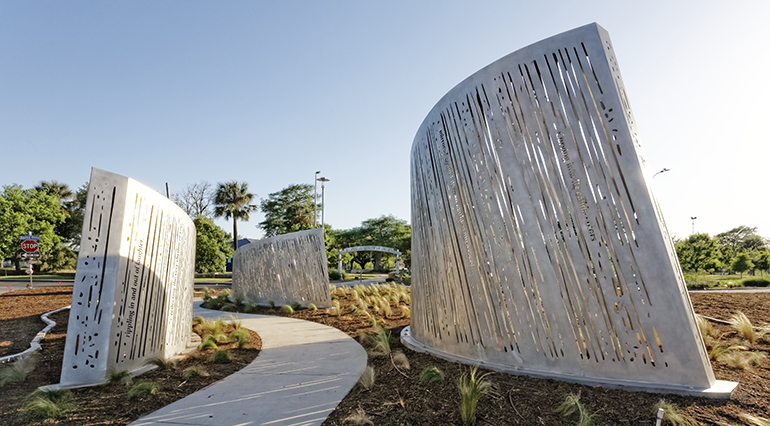 Three wave forms of stainless steel create a meandering path inviting people to walk through to the park. The wave form patterning creates a visual phenomenon echoing the motion, reflection, and light on water. The patterning is coupled with the integration of poetry from Dr. Carmen Tafolla, former Poet Laureate of Texas and native of the West Side. 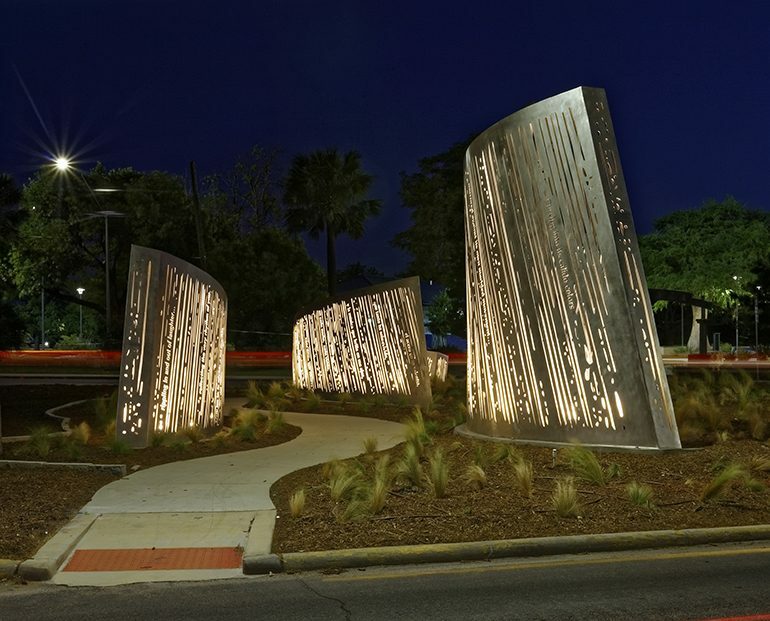 The installation suggests a visual phenomenon of motion, reflection, and light on water coupled with the integration of poetry combined to create a welcoming and iconic entry to the neighborhood park.